A total of $4.6 billion will be wagered on 149 million brackets by more than 40 million people, according to a survey released Monday by the American Gaming Association. Betting on brackets with family and friends will far exceed the amount of money wagered on the NCAA Tournament at sportsbooks, online, with a bookie or with a friend, according to a new survey released Monday by the American Gaming Association. A total of $4.6 billion will be wagered on 149 million brackets by more than 40 million people, according to the national sample of 11,002 adults conducted by Morning Consult. The average person fills out four brackets. Overall, 47 million American adults plan to wager $8.5 billion on the tournament, with one in five adults placing a bet. Nearly 18 million people will wager $3.9 billion through other channels and AGA president and CEO Bill Miller said less than 25 percent of that figure will be bet at legal books. According to the survey, 4.1 million people will place a bet at a legal book or using a legal mobile app; 2.4 million will bet illegally with a bookie; and 5.2 million will bet online, likely at illegal offshore sites. “These results indicate there’s still work to do to eradicate the vast illegal sports betting market in this country,” Miller said. An estimated $305.5 million was wagered at Nevada books on the 2018 NCAA Tournament. That figure more than doubles the Super Bowl LIII betting handle of $145.9 million in February. The survey shows that 29 percent of bettors pick Duke to win, followed by Gonzaga (9 percent), North Carolina (8 percent), Kentucky (7 percent), Virginia (5 percent) and Michigan (5 percent). Derek Stevens, who owns the D Las Vegas and the Golden Gate, wagered $11,000 to win $10,000 on each of the 32 opening games of the NCAA Tournament the past two years moments after the lines were posted for a total of $715,000. 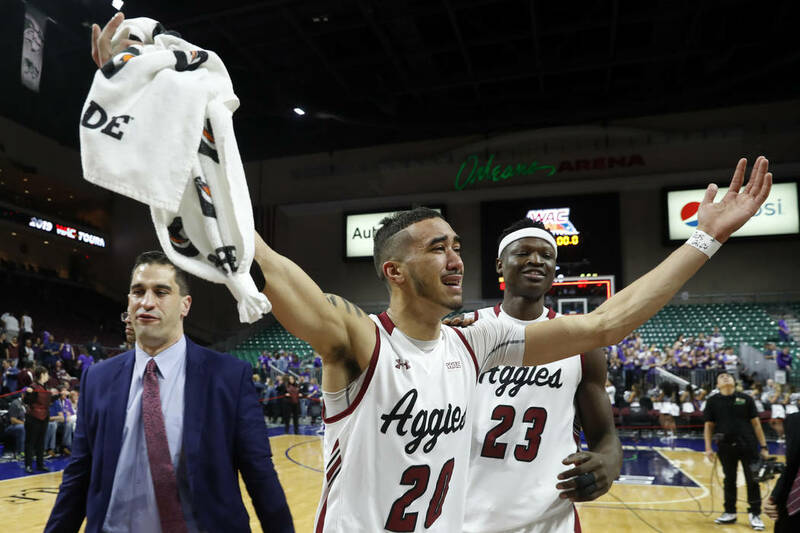 This year, Stevens has settled for a $100,000 wager to win $105,000 he placed in January on a prop at the South Point sportsbook that pits Duke, Gonzaga, Michigan and Kansas against the field. Stevens bet on Duke and Co.
FS1’s sports betting show, “Lock It In,” will be broadcast live from the MGM Grand Wednesday through Friday. The one-hour show airs weekdays at 1:30 p.m. and features former Caesars Palace oddsmaker Todd Fuhrman, “Cousin Sal” Iacono, Clay Travis and Rachel Bonnetta. Sunset Station will host its annual “Tip Off to the Tourney” college basketball seminar from 6 to 7:30 p.m. Tuesday at Club Madrid. The event is free and open to the public and free pizza and soft drinks will be served. Esposito and Sportsbook radio host Brian Blessing will break down the NCAA Tournament with handicappers Hank Goldberg, Bruce Marshall, Bernie Fratto and Andy Iskoe. The entry deadline is 10 p.m. Wednesday for the Hoops Central Showdown contest at the Westgate sportsbook. The entry fee is $200 (maximum three entries per person) and contestants select ATS winners on 28 NCAA Tournament games Friday and Saturday (the contest won’t include winners of the First Four games). The inaugural contest last year featured 161 entries at $100 apiece and the winning record was 20-8 ATS.